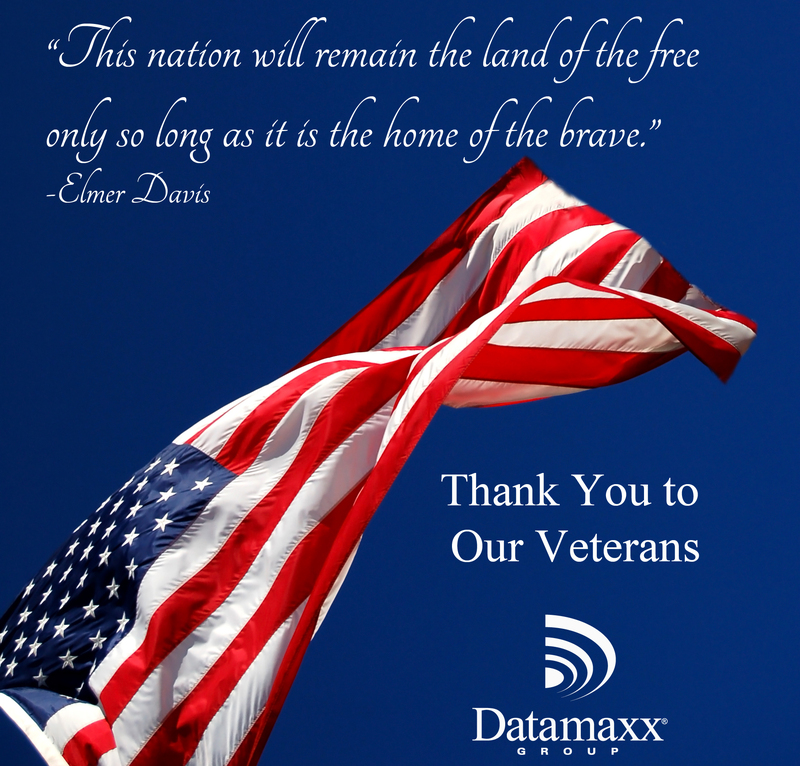 All of us at Datamaxx Group would like to take the opportunity to thank our veterans and their families. We truly appreciate the sacrifices you have made and continue to make. In addition to the number of veterans we have on the Datamaxx team, many of our customers and partners have served our country. Also, countless others are connected to a veteran through family or close friends. We are grateful to you all and hope you have a wonderful Veteran’s Day.